The other day I had a huge craving for Cinnamon rolls and realized we had not had them in awhile. I thought this would be the perfect time to teach my daughter how to make them. I took pictures along the way so I could share with you as well. I hope you love this recipe as much as we do! These are very simple to make. I let my bread machine get the dough ready which what takes up most of the time. It can knead my dough and let it rise while I do other things around the house. I put the ingredients in my bread maker in the order listed and then set my bread machine to just mix/raise the dough and take the dough out before it bakes the bread. 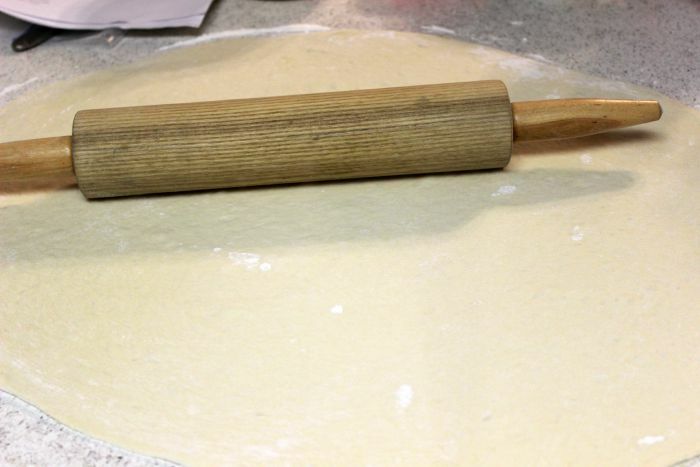 Roll out your dough. 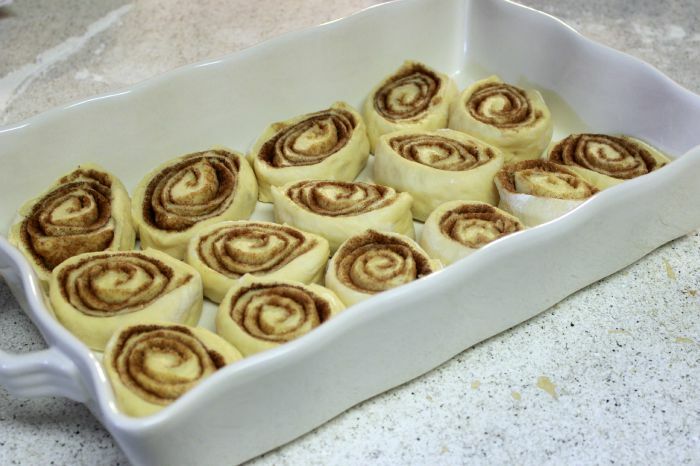 I like to roll my dough out thin to get as many layers of delicious cinnamon as possible. 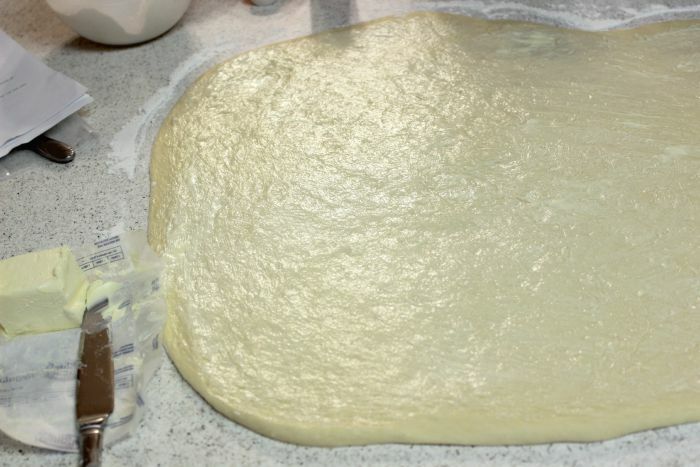 When I start making the dough I also pull the butter and cream chease out of the fridge so it can begin to come to room temperature. 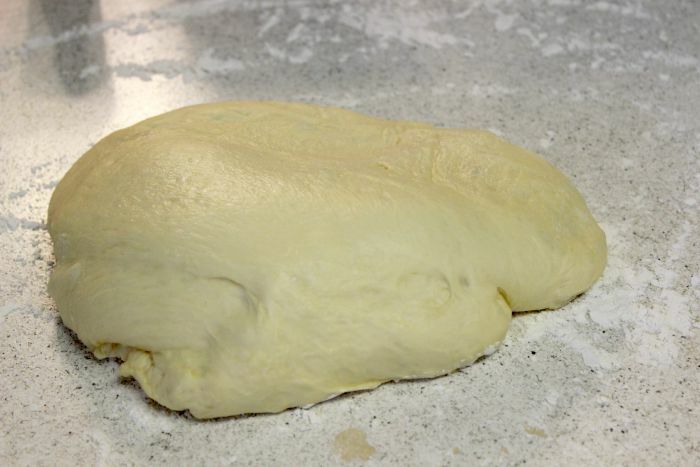 Start by spreadsing the butter all over the dough. 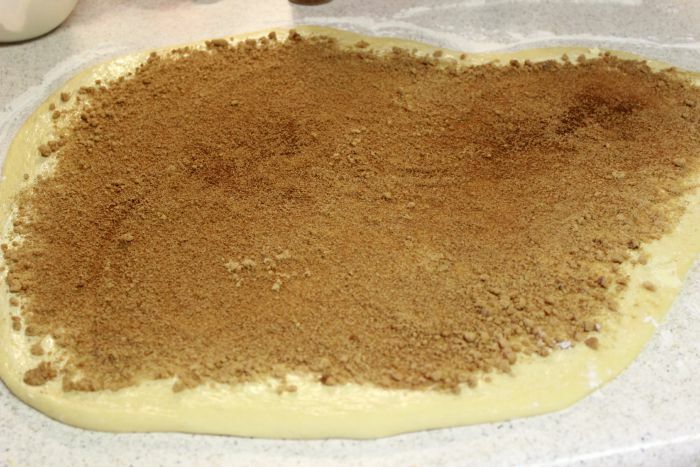 Mix the brown sugar and cinnamon together and then spread over the dough as well. 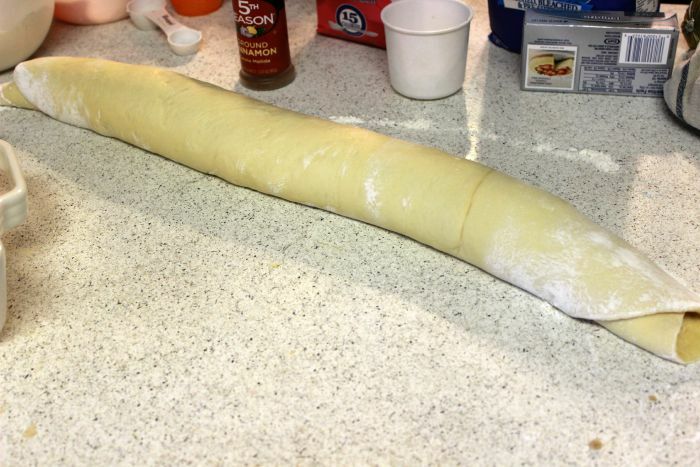 If you rolled your dough really thin and have extra dough you might need to make up some more sugar/cinnamon mixture. Cut the rolls into slices. When I was little this was my favorite part. I would watch my mom cut the roll up with a white string. I just use a knife. Yes it does smush things up a bit, but for me it is quicker because I never have thread around. Place each slice into a greased dish. Let rise for about 30 minutes and then place in a 400 degree oven for 12 minutes or until the tops are golden brown. When the rolls have about 5 minutes left of baking I begin making my frosting. 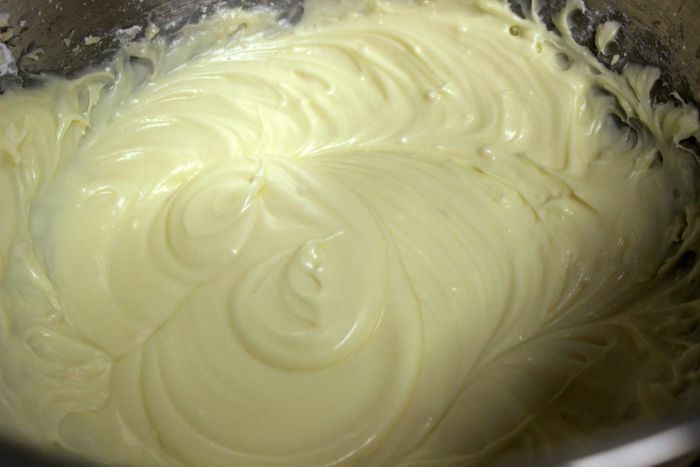 Put all frosting ingredients into a bowl and mix with your mixer until it is nice and creamy. Once the rolls are out of the oven I let them sit for about 2 minutes then I begin to spread on the frosting. 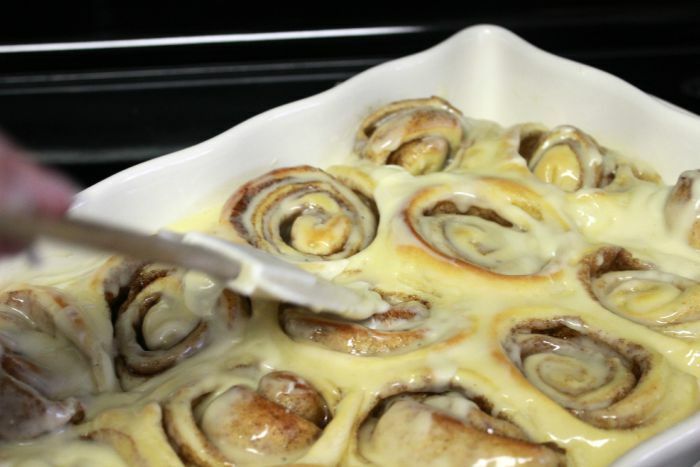 The rolls are still hot enough that the frosting melts and oozes deliciously all over the rolls. Serve hot or cold or reheat in the microwave the next day – these are so amazing! Yum! 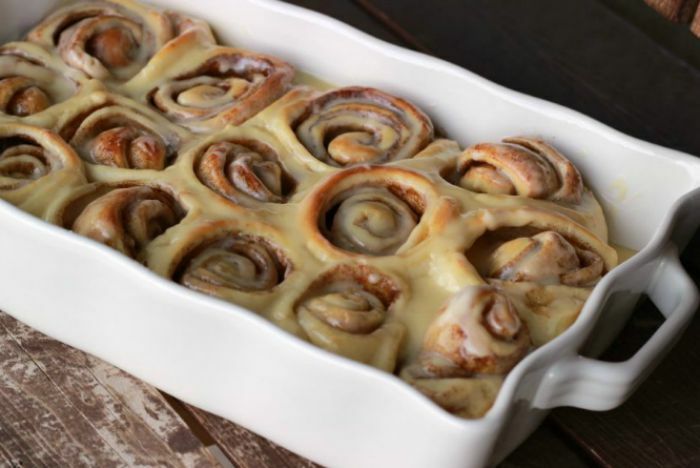 There are few things better than the smell of homemade cinnamon rolls baking… melty cream cheese frosting never hurt anything either! Thanks so much for sharing with Share The Wealth Sunday! Yummi. Looks so delicious. I will make this! Yum! These look so good. I like the idea of cream cheese frosting. 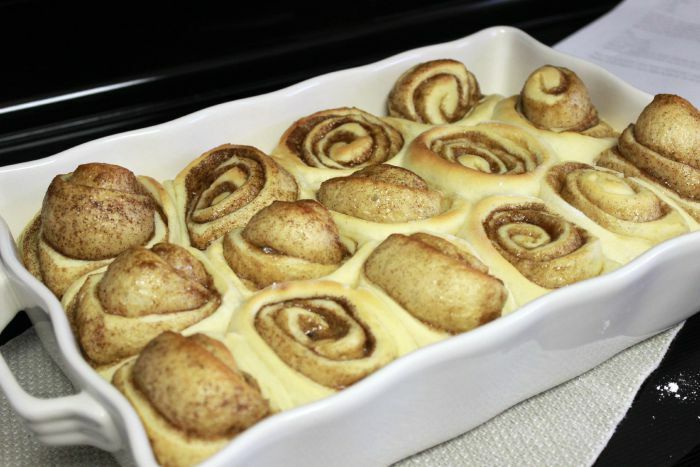 Homemade Cinnamon rolls are the best…and they smell so good in the oven too! 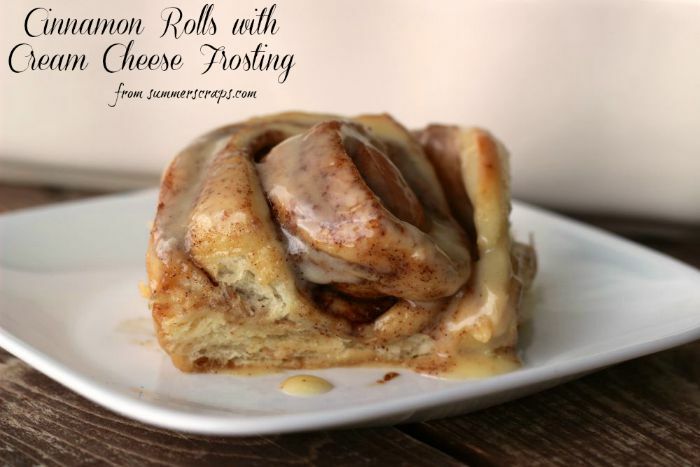 I might have to make these when my son comes home for a visit from college…he loves cinnamon rolls! 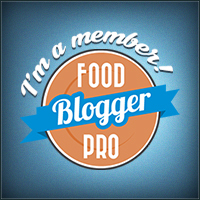 Thanks for sharing these with us at #FoodieFriDIY!